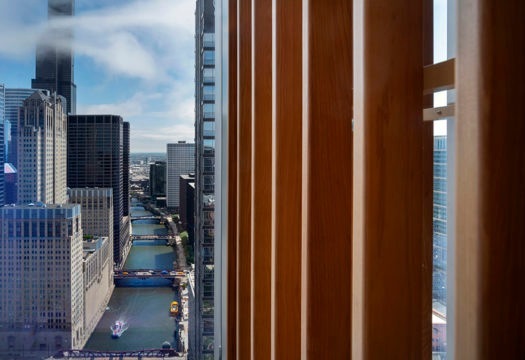 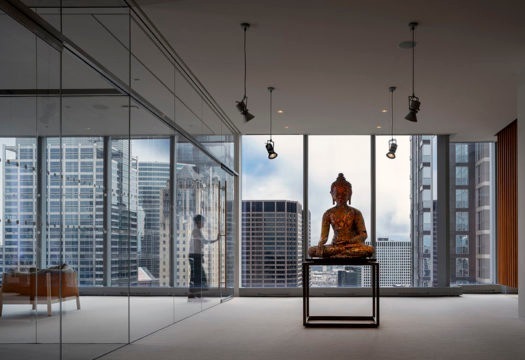 Floating in the clouds, the extremely sophisticated offices designed by the architecture firm Alvisi Kirimoto occupy the entire 32nd floor of a new skyscraper with a height of 224 meters, located in the former industrial area of the West Loop, in Chicago. 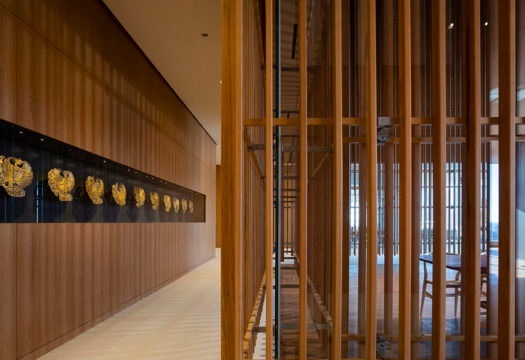 The space of 2600 m2 contains a private collection of artworks and stands out for its balanced proportions, with an oriental touch in line with the Italian and Japanese sensibilities of the studio founded in Rome by the architects Massimo Alvisi and Junko Kirimoto. 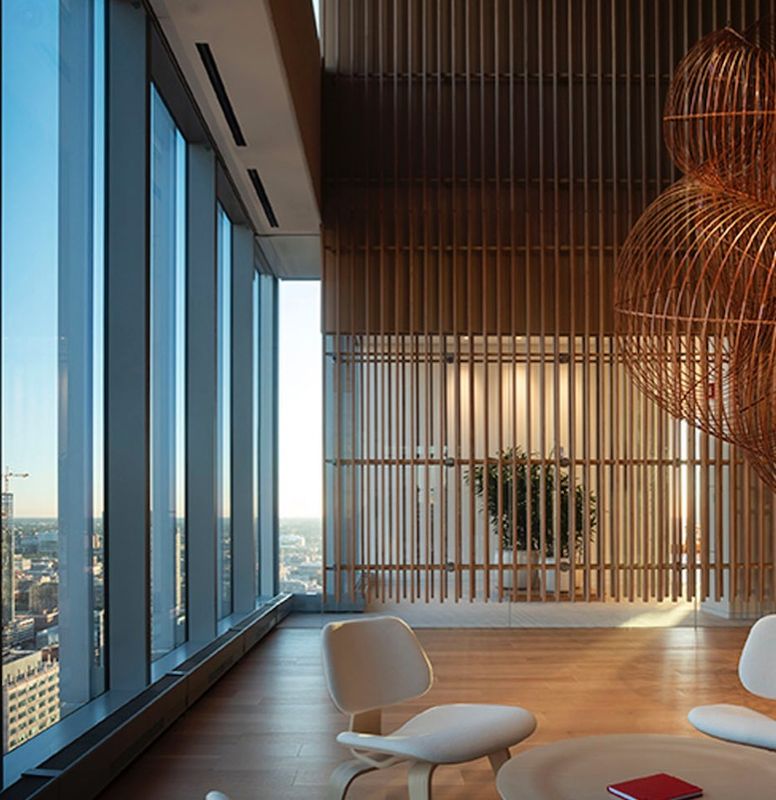 The interiors are luminous thanks to large glass walls, natural wood finishes and suspended panels bordering the various work areas. 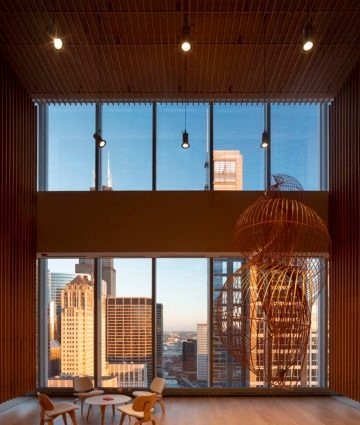 The flexibility and lightness of the parts offer a breathtaking view also in the most private areas enclosed by opaque partitions. 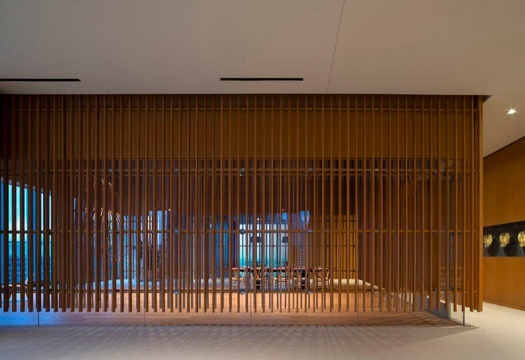 Rhythm is added to the spaces by vertical wooden slats that adjust levels of privacy and luminosity, becoming the stylistic signature of the entire project. 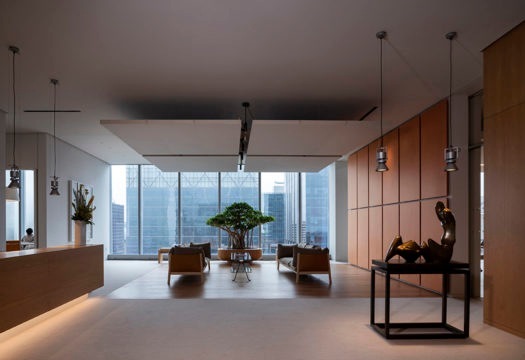 The central feature of the offices is the Winter Garden, a two-story multifunctional space of great visual impact that becomes a luminous box. 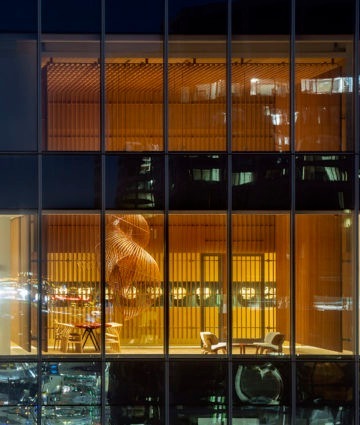 Depending on the vantage point, its cladding – composed of two rows of suspended wooden slats, not in alignment – frames a central partition in transparent glass, which can shift between transparent and opaque states, generating multiple perspectives and games of light and shadow. 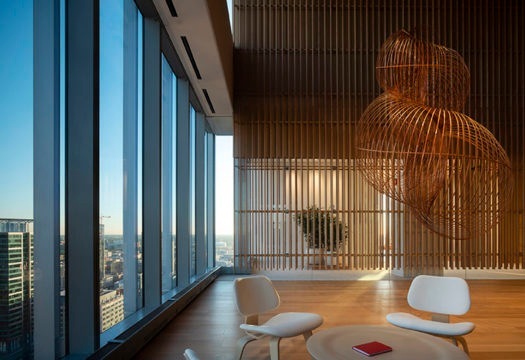 The Winter Garden also features a large, sinuous bamboo sculpture created by the Japanese artist Ueno Masao, suspended at the center of the space, combined with an elegant table in Japanese lacquer designed by Junko Kirimoto. 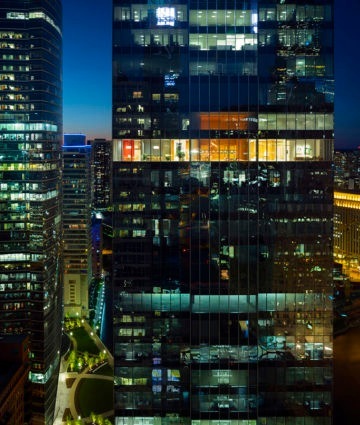 Every aspect of the project is skillfully adapted to the context, from the custom furnishings to the choice of lighting fixtures. 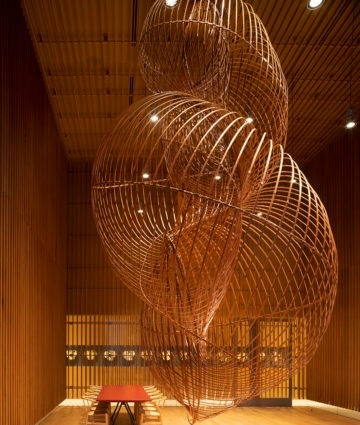 The use of color has been carefully gauged to create a sensation of calm while indicating the functions of spaces. 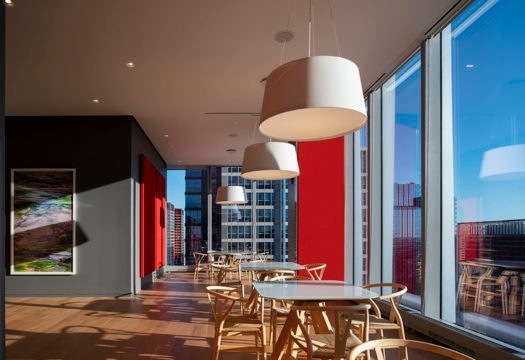 The tones range from the luminous orange of several ceilings to the intense red of the panels, in contrast with the gray walls, from relaxing rust tones in Japanese wallpaper to the regenerating white of the open-plan areas.